Gift giving is one way to show your love and appreciation for one another. Whether a small token or a grand gesture it always counts. To help you out this festive season, I have gathered some easy gifts that might make a loved one around you very happy. They are mostly easy to grab and package and of course my top picks for him and her! So let's get started below! 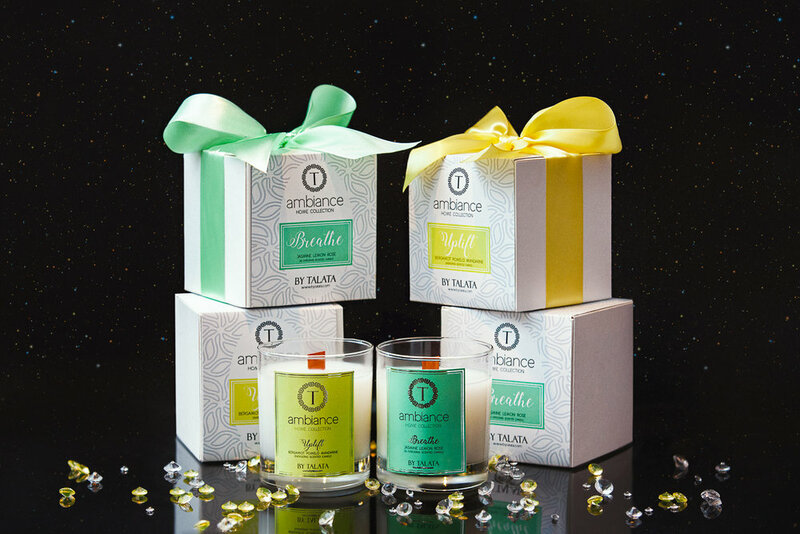 AMBIANCE BY TALATA presents two scented candles made in Ghana, from the Ambiance Home Collection by Talata. "Uplift" is citrusy, energizing and uplifts your spirits like the name suggests. "Breathe" is floral and my personal favorite. The candles are made with Shea butter wax and the highest grade of fragrance oils. Get this; the candle wicks are made out of wood. This already packaged, ready for gifting candles can be bought directly the Talata showroom or through he Talensi Gifting Services. CHIC BY SIBA is one of my favorite stores for the quick gifting choices with a Ghanaian/ African touch. My favorite pieces from the store include the beaded hand clutch, the brightly colored beaded necklaces and bracelets and the wax print covered notebook. CONTOURS BY VALERIE LAWSON. The Ultimate brush set has everything you need for your full make-up look. The Brushology included ensures that you use them all the right way. The brushes come in a placement box, making them easy to wrap and gift. Order your Ultimate brush set from CVL beauty. 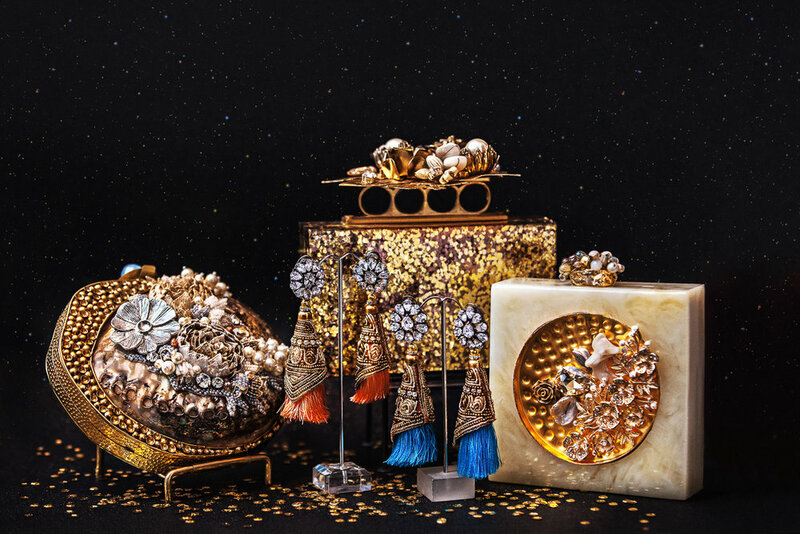 DAAR LIVING, a home and accessories retail store has crested a limited edition Christmas tree decoration set. The full pack of decorations include 5 round woven pieces, 5 wands, 6 brass pieces , 6 masks and Adinkra symbols from Kumasi. To top off your tree there is one tree topper called "The Sun" woven from Bolgatanga. Smaller packs are also available. 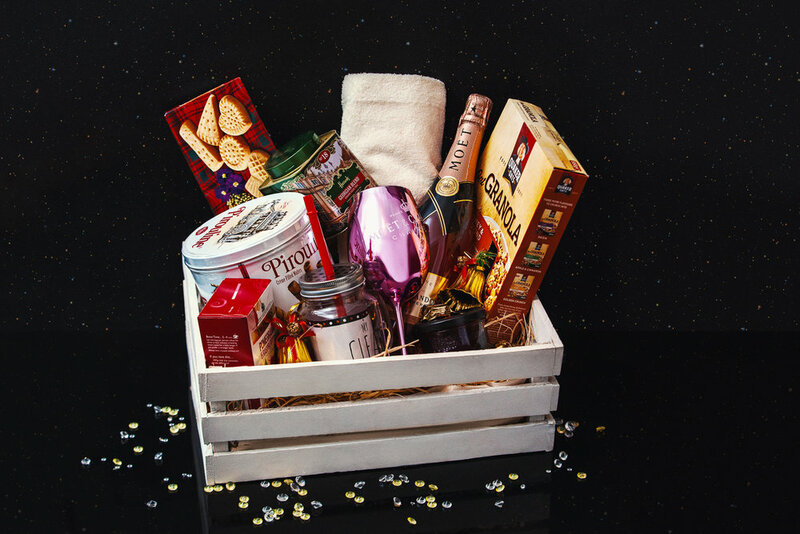 THE GIFT BUG presents the Luxury Snack Hamper! Picture your loved one snack on these goodies while sipping the best champagne! A lot more themed hampers await you! KIRA LIVING is my new favorite store for things minimal decor! In my wildest dreams, my entire home would be filled with their pieces. Below is my gold and white selection for the holidays. Candle holders, picture frame, jewelry/storage boxes and the cutest gold and bronze animal molds. 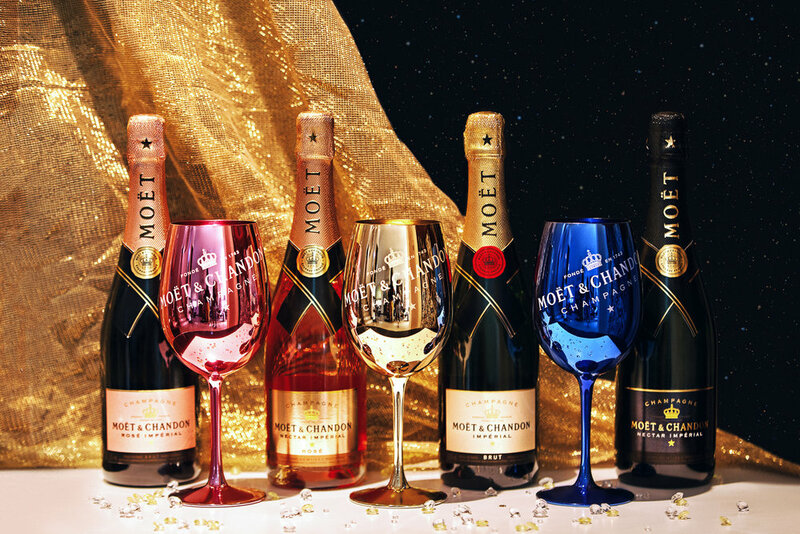 MOËT & CHANDON makes the perfect gift, especially when you get really generous and gift the four flavors available. Need I say more? They make any celebration extra special. Moët can be found in all leading alcohol stores. Not for consumers under 18. R&R LUXURY is an award winning natural cosmetic brand, transforming Shea into the most enriching beauty products. Below to the left is something for the men; the liquid black soap and the Marakesh Nights body oil! Smooth moisturized skin coming right up!!!! From their new home fragrance line "ilé". This festive season I will be using their Sahara Sunset, which combines scents of frankincense, gold and myrrh, and their Spiced Orange diffuser, a merge of Fresh orange and a hint of ginger. Contact: @randrluxury, Retail store in the Viva Court, Osu, info@randrluxury.com, 0544921934. SO AESTHETICS is a luxury make-up sold here in Ghana in the Viva Court Osu. This holiday, the brand will be giving a whooping 50% discount on all their make-up brushes and 10% off select products. Below we also have their face cleanser and toner, lip liner and eye liner and lipgloss. VLEMA'S MILLINERY AND ACCESSORIES produces handcrafted fashion pieces. I tend to go GOLD for my accessories during the holidays so these accessories came in perfect. Oval clutch made with brass embroidery and other of pearl with an antique finish. Ring clutch made with mother of pearls and fibre and the Square clutch made with quartz and mother of pearl. Earrings are made of silk yarns and soft metallic embroidery with crystals. THE WALKING CLOSET is mens accessory or haberdashery brand. A box filled with a couple of these accessories and you'll be the best wife, sister, girlfriend, or friend out there! Get to it ladies! Thank you thank you for stopping by! Christmas is one of my favorite holidays and so it means a lot to be able to share it with you all in this way. Enjoy the joy the next few weeks will bring.